Home/News/On the hook, or off the hook? 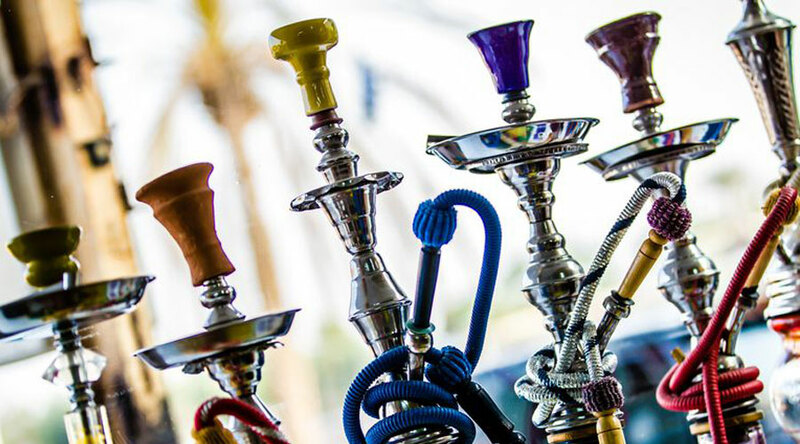 Hookah, Shisha, Sheesha, Goza, Argileh, Narghile or Hubbly Bubbly, as it’s more commonly known in South Africa is a popular method of smoking flavoured tobacco by using a water pipe. Smoking Hubbly Bubbly or Hookah as it predominantly know around the rest of the world, has become a supremely social form of smoking, particularly amongst the youth. The Hookah or water pipe is comprised of a head, a body, a water bowl and a hose/pipe or two. The sticky ‘wet’ flavoured tobacco is placed in a clay head at the top of the Hookah, and then covered with perforated aluminium foil or a ventilated metallised casing, a coal or an ember is then placed on top of the head and the tobacco is indirectly heated. Hookah tobacco differs from cigarette tobacco in that it is a sticky, wet substance that is flavoured and coloured and also contains a combination of other sugar-based substances such as honey or molasses; this means that not all Hookah flavourings contain the same level of tobacco. Once heated, the tobacco vapour is then inhaled using a pipe. The dangers of smoking have been widely researched and publicised, and it is a well-known fact that tobacco is harmful in multiple ways as well as the fact that it contains nicotine which has been proven to be an addictive substance. However, despite the fact that Hookah water pipes also make use of tobacco based flavourants, the assumption is often made that smoking Hookah is better than smoking cigarettes, as the use of water as a filter in the creation of flavoured water vapour is less harmful than directly inhaling cigarette smoke. The method of using water to cool the smoke can make is feel less harsh and offensive to the throat and lungs which also adds to the impression that Hookah smoking is the better of the two kinds. This, as it turns out is an absolute fallacy. Smoking Hookah or Hubbly Bubbly also comes with a unique set of additional risks that are not necessarily associated with smoking cigarettes. According to the World Health Organisation, the smoke created by water pipes also contains toxins that are associated with lung cancer as well as heart and respiratory diseases and, also exposes the smoker to low levels of carbon-monoxide. On average, a Hubbly smoking session can last anywhere between 20 to 80 minutes which exposes the smoker to a substantially larger quantity of smoke over a prolonged period of time versus a cigarette smoker. “Cigarette smokers typically take 8 to 12 (40 to 75 ml) puffs over about five to seven minutes and inhale 0.5 to 0.6 litres of smoke. In contrast, a water pipe smoker may take 50 to 200 puffs a session, which may range from 0.15 to one litre of smoke per puff” (CANSA, 2018). Therefore, it’s possible that a Hookah smoker may inhale the equivalent of approximately 100 cigarettes worth of smoke in one session, which creates a greater exposure to harmful toxins. Hookah smokers also run the risk of contracting tuberculosis and cold sores from sharing pipes that aren’t sterilised between uses. Despite all the ‘scary stuff’ about smoking, it seems that Hubbly Bubbly has got people hooked, and will continue to be a worldwide smoking pastime favourite for the foreseeable future.